A large number of multi-lateral agreements have been created within the framework of the UN System. A better acquaintance with treaties and their impact in concrete situations is in focus in the Actor Atlas. In comments added to a treaty article, the claim of the article can be compared with the reality on the ground. Analysis of a compliance failure could be succeeded by various initiatives, including initiatives focussing on improving an article, or initiatives explaining better an article's practical implications. An example is Article 09 - Farmers’ Rights International Treaty on Plant Genetic Resources for Food and Agriculture. The Faculty of Law of the University of Oslo provides a treaty database with the full text of 949 treaties in 15 categories. For the United Nations agencies, the constitutions of organisations such as WHO are listed as a statute. Explore cross-sectoral instruments for development via resource-book. 07 with detailed structure and explanatory notes at COFOG Division 07 - Health and government 07 function map. The related category of industry (ISIC) is Q - Human health and social work activities. Convention on the Rights of the Child Articles 24, 25. More elaborate lists of treaties in the categories General public health, Occupational health, Drugs and psychotropic substances, Medicine and health care are provided by the Faculty of Law of the University of Oslo (Norway). 08 with detailed structure and explanatory notes at COFOG Division 08 - Recreation, culture and religion and government 08 function map. More elaborate lists of treaties in the categories Culture and Rights of minorities and indigenous people are provided by the Faculty of Law of the University of Oslo (Norway). 09 with detailed structure and explanatory notes at COFOG Division 09 - Education and government 09 function map. - Universal Declaration of Human Rights - Article 26; Convention on the Rights of the Child Articles 28, 29. A more elaborate list of treaties in the category Research and education is provided by the Faculty of Law of the University of Oslo (Norway). 10 with detailed structure and explanatory notes at COFOG Division 10 - Social protection and government 10 function map. Universal Declaration of Human Rights Articles 16, 22, 23. More elaborate lists of treaties in the categories Social, economic and cultural rights, Women's rights; Rights of the child, Social Security and Family Issues are provided by the Faculty of Law of the University of Oslo (Norway). 04 with detailed structure and explanatory notes at COFOG Division 04 - Economic affairs and government 04 function map. More elaborate lists of treaties in the categories Economic Law, Occupational health and Intellectual Property are provided by the Faculty of Law of the University of Oslo (Norway). 05 with detailed structure and explanatory notes at COFOG Division 05 - General public services and government 05 function map. A more elaborate list of treaties in the category Environmental Law is provided by the Faculty of Law of the University of Oslo (Norway). 06 with detailed structure and explanatory notes at COFOG Division 06 - Housing and community amenities and government 06 function map. Universal Declaration of Human Rights - Article 25.1 and related international human rights provisions regarding the right to adequate housing. 01 with detailed structure and explanatory notes at COFOG Division 01 - General public services and government 01 function map. 02 with detailed structure and explanatory notes at COFOG Division 02 - Defence and government 02 function map. A more elaborate list of treaties in the categorie Defence, armed conflicts and arms control is provided by the Faculty of Law of the University of Oslo (Norway). 03 with detailed structure and explanatory notes at COFOG Division 03 - Public order and safety and government 03 function map. A more elaborate list of treaties in the categorie Crimes is provided by the Faculty of Law of the University of Oslo (Norway). Statutes What legal provisions exist in this area of government? COFOG Classification of the Functions of Government is provided by the United Nations Statistics Division: COFOG structure. ISIC International Standard Industrial Classification of All Economic Activities is provided by the United Nations Statistics Division: ISIC Rev. 4 structure. Treaties What international treaties may support national institutions in performing or improving their functioning in this area? The possible parties to the agreement are the governments of the countries listed in this list of countries. Note that not all governments will ratify all agreements. A list of signatories is usually provided by an international organisation with an interest in a treaty. For agreements between governments, usually the UN International Court of Justice will be the competent court. Only 66 countries recognize as compulsory the jurisdiction of the International Court of Justice. Scope of the Statute Book: The laws enacted in, and agreements agreed among actors and for initiatives listed in the Actor Map, Initiative Book. For persons, companies and other organizations in a country, and their initiatives (including those listed in the United Nations Initiative Book), the statutes specify constraints and determine a context/baseline that the initiative has to take into consideration. Well-designed, clear and enforceable agreements are essential to a complex collaborative endeavour such as development. The website Better Regulation explains actions in the Better Regulation field, taken by the European Commission, other EU institutions as well as the EU Member States. Inclusive development must reach and engage all members of society, in their diverse livelihoods. Easy access to statutes, and to treaties with which they should be compliant, facilitate transparency of the political process, and a constructive dialogue among stakeholders. This will benefit the treaty and statute fit (are problems solved and have stakeholders been heard ?) and their adoption: stakeholders who have been able to participate in the political process are more likely to comply, as participation is likely to ensure a more fair access to benefits, and a better balance of burdens. The coexistence of multiple treaties and statutes create difficulties in reconciling confusing or conflicting provisions. Those difficulties can be structurally reduced by engaging more stakeholders in the treaty and statute shaping, and by a culture of periodic reviews and subsequent statute improvement1. Structuring treaty and statute books by COFOG class supports the clustering of their provisions. The interactions and claims to which provisions pertain support an open and constructive dialogue with stakeholders, in the first instance, as represented by actors at the macro and meso level, listed in the Actor Map of each country. Poor quality treaties and statutes pose significant constraints to development initiatives, for instance those listed at United Nations Initiative Book. Unlike other constraints, such as for instance the limited access to resources such as water and finance, the constraints to development imposed by unfit statutes are easy to remove, this is if there is the political will. The Initiative Books support mutual awareness of ongoing and forthcoming initiatives. A treaty is a written agreement between two or more states. A treaty takes effect either immediately on signature or, more often, on ratification. For most COFOG classes below, the contents of a treaty will focus on the structure and claims of the international organisation established in the area of the COFOG class, and its relationship to corresponding national actors. National statutes in the area of a COFOG class will define standards for the function of government agencies and/or for other stakeholders who should comply with the provisions of the statute in their interactions2. In many cases the actors in the corresponding COFOG class, who can be found in a country's Actor Map are created to actively promote and ensure the compliance of stakeholders. For a national actor, for instance a Department of Health, the relationship with the international organisation, such as the World Health Organisation will usually not be the core business. Yet a treaty may list objectives and provide instruments that national actors could rely upon in their work. In such a case, a treaty could describe procedures that national actors should follow to use (or contribute to) resources of the group, under the governance of the international organisation. Some initiatives listed in the United Nations Initiative Book may include roles for international organisations. Governmental work, performed as part of COFOG 01.1 - Executive and legislative organs, financial and fiscal affairs, external affairs may include the drafting of new statutes or the modification of existing ones. Economic activities (as classified by ISIC) are among the main drivers for the creation of legal instruments, and private entities are important beneficiaries of their existence. Whereas many economic activities are (more or less) compliant to relevant statutes and treaties, the overall institutional legacy is rather complex, and it has become increasingly difficult to craft and enact improvements to it. Moreover this legacy has also reduced the policy options for many developing countries, and it has created very steep learning paths which are hard to climb, especially for entrepreneurs and policy-makers of developing countries. Add the text of a statute or agreement by creating a newpage for it using the button under the list. Start the name with "UN-" (for a country, this is the ISO 3166 code) followed by a dash. 1. Such a culture can be enabled by methods and techniques explained for Value Added Tax in the EU, details at http://www.wikiworx.info/vat-erp . 2. 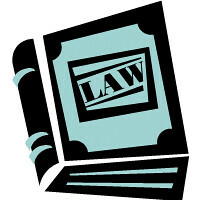 The range of interactions for which statutes and regulations have been defined is addressed in the Interaction Dictionary.